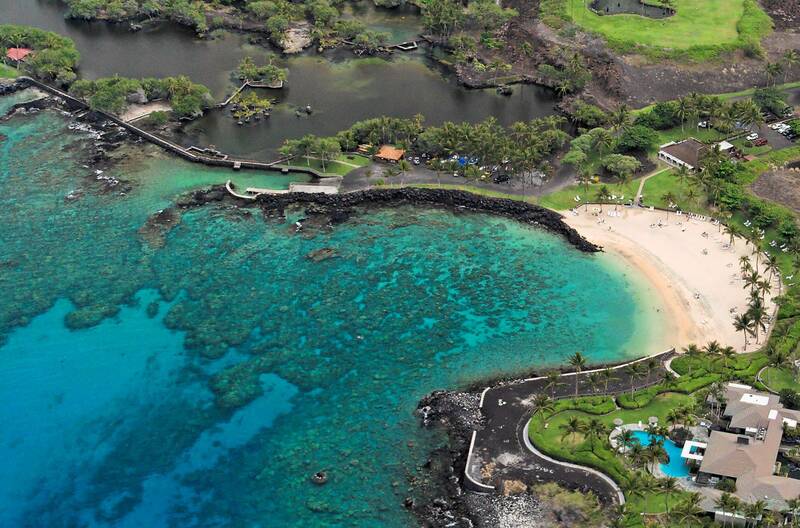 The Mauna Lani Point offers a private escape with tranquil surroundings and breathtaking views. 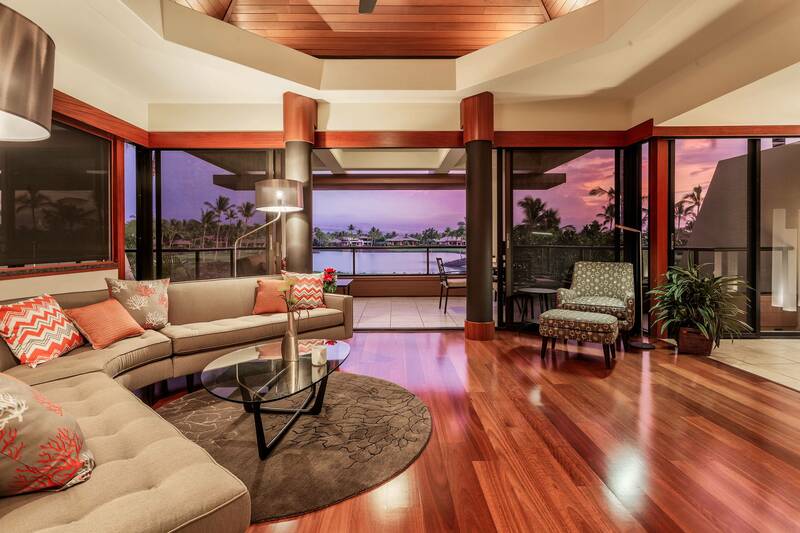 These Big Island condo rentals offer luxurious furnishings and comfortable living spaces. 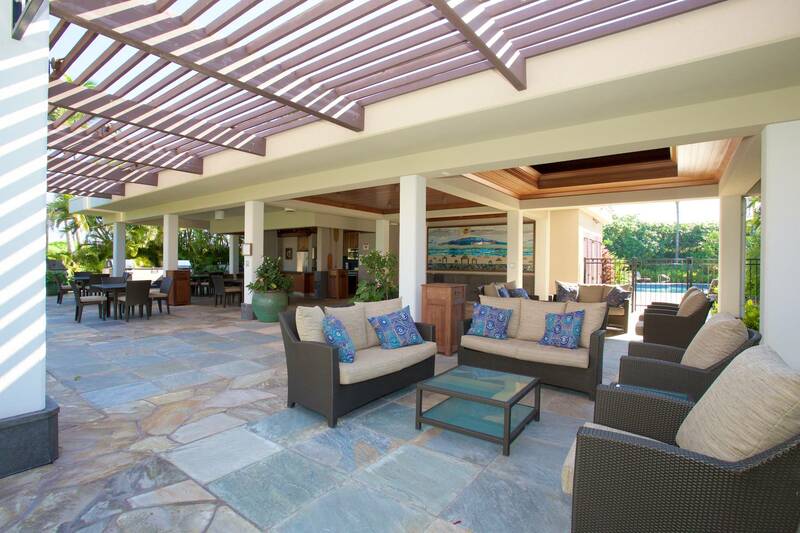 Central air-conditioning and ceiling fans are in every room to maximize the tropical breezes. 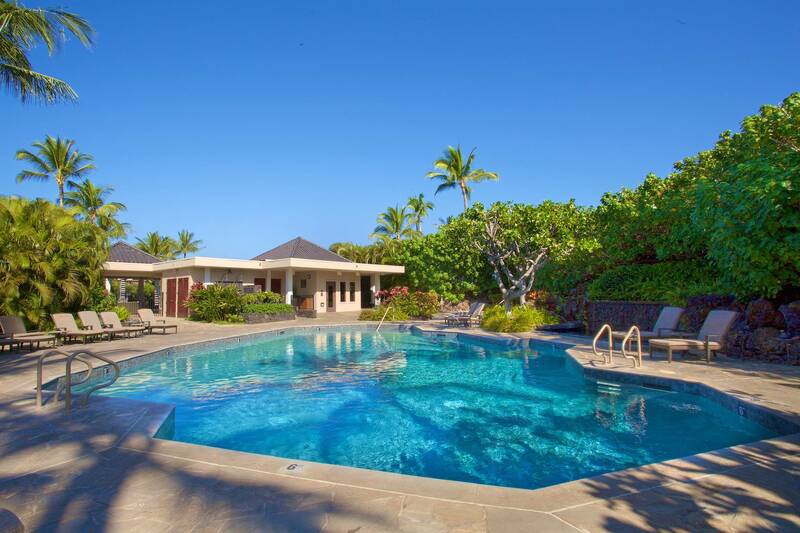 Guests will have use of on-site recreation center with a heated swimming pool, Whirlpool spa, sauna, and BBQ pavilion. 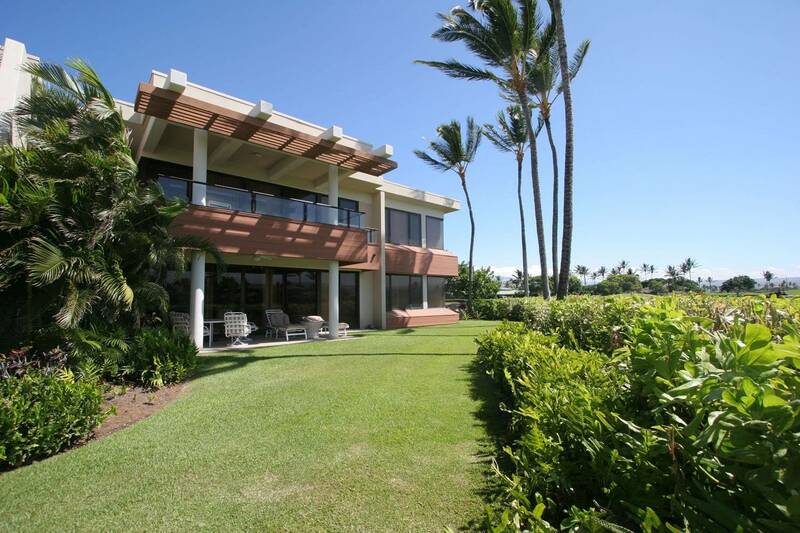 * Amazing ocean & golf course views. * The unit opens to the outdoors for refreshing sea breezes. * Furnished in neutral tones. * Living room has an entertainment center with a DVD/VCR.